Last week I accepted a collaboration from someone on Facebook in a beauty group. She wanted to do a collab for Instagram and I jumped at the idea. The idea was to shop our own stash for 5 products and for my look for a summery glow. 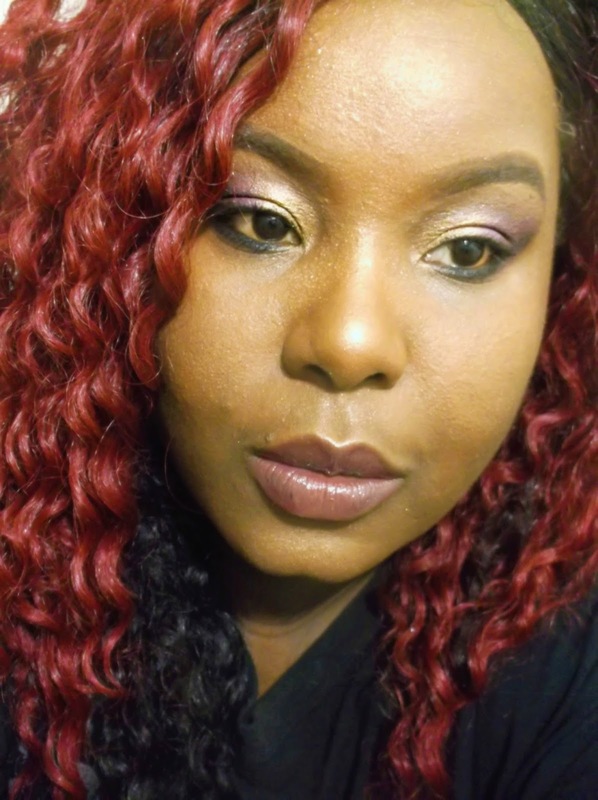 The makeup I chose for my look was the Urban Decay eyeshadow palette, Hard Candy highlighter, Covergirl Big Eyes mascara ,Covergirl Ready Set foundation and pressed powder by L'Oreal. I loved how my look turned out especially using the eyeshadow. Urban Decay have some very shimmery palettes and I won this palette from Glam-Express, a beauty community where women share their created looks. I decided to go with a Golden and Purple eye look and it turned out so pretty. 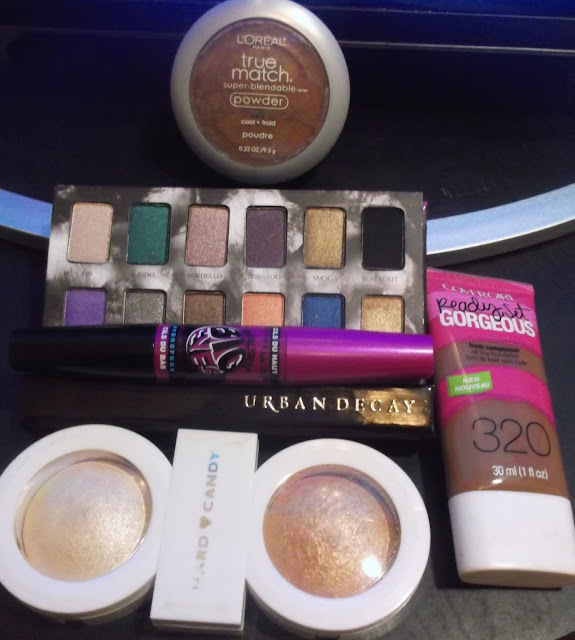 Of course I used a few more products to finish off my look like eyeliner and lipgloss. 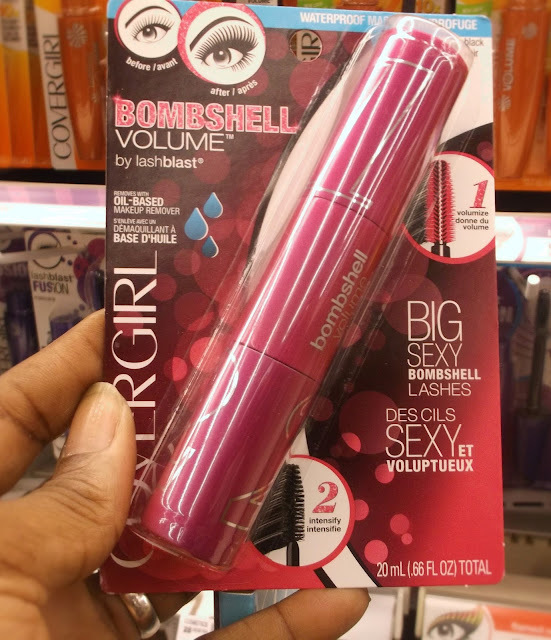 Covergirl Bombhell Mascara I caught on a closeout sale for $3.79 at my local Krogers grocery store. I did some research on this mascara and found out it's like $9 regular price, so I got a great deal last week.